Clang Sayne are the Irish-based four-piece led by Wexford-based artist and founding member Laura Hyland. Having formed in London in 2008, the group (comprising of Laura Hyland alongside Peter Marsh on double bass, James O Sullivan on electric guitar and Matthew Fisher on drums) released their debut album “Winterlands” the following year to wide acclaim. 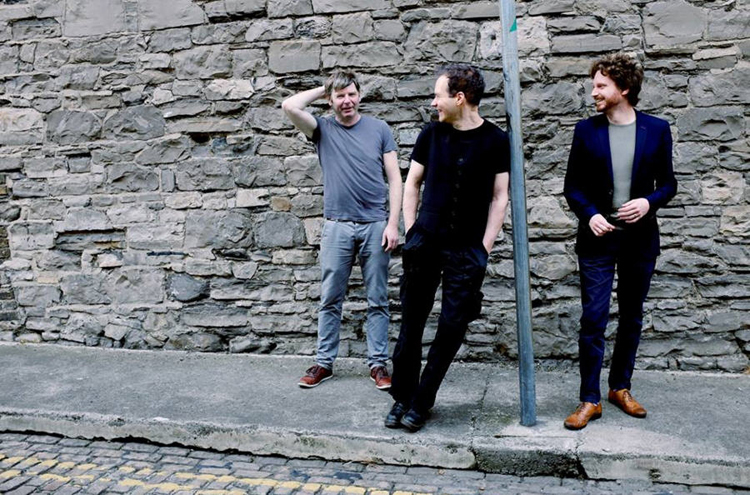 The album revealed the spellbinding poetic lyricism of Hyland’s songwriting, together with the group’s innate ability to channel their diverse influences (jazz, folk, sound art, traditional) into their own distinct sound. The band’s captivating sound and thrilling lyricism continue to expand and flourish on the band’s follow-up, “The Round Soul Of The World”. Released in March of this year, the group’s second album is a stunning achievement in distilling myriad themes (chiefly those of mortality, death and love) in such a quietly breathtaking and poignantly moving way. Clang Sayne’s latest incarnation – Judith Ring on voice and cello, Matthew Jacobson on drums and voice, and Carolyn Goodwin on bass clarinet and voice (some of Ireland’s most gifted contemporary musicians in their own right)– are also undoubtedly responsible for weaving their own unique and diverse musical backgrounds to the recordings here. There is a clear sense of trust and appreciation in one another’s playing and musicianship (something that can only result from years of playing alongside one another and trusting one another completely) which makes “The Round Soul Of The World” such an ambitiously complex and genuinely fascinating album, all at once, one which manages to simultaneously move the heart and mind. “The Round Soul Of The World” is available now. Congratulations on “The Round Soul Of The World”, it is such a startlingly complex and beautifully poetic and endearing album. First of all, I’d love if you could trace back the beginnings of this album: When did you begin to write this set of songs? Laura Hyland: Thanks for your very kind words, Craig, I’m glad you’ve enjoyed listening. I wrote ‘Mocking Moon’ shortly before leaving London in 2010, but it was a while before anything else followed. Several months later I returned to Co. Wexford, Ireland (where I grew up), and moved into an old farmhouse on the coast with Jude (Ring) and my cousin, Ann. Every morning I’d play my guitar in the garden. I was so taken with the soundworld there (wind, sea, birds) after so many years of living in cities that I felt it was a real shame to play over it, and so eventually I just started playing with it. There were no other songs at that point-only this guitar-based soundworld that felt very soft and spacious and other-worldly. That feeling corresponded to my return to a rural home. Suddenly I was surrounded by a lot of wide open space, and a lot of love from family and old friends. It was a very stark contrast to the anonymity of city life (which I also love). There’s a kind of paradox in connecting with that sense of space and that kind of connection with neighbours: it’s ancient and timeless and immediate all at once. I didn’t have an album ‘theme’ in mind at that point – just this feeling of space and expansiveness, and it kept emerging in everything I was playing with at the time – from sounds to words. Lyrics materialised, and gradually got worked into these guitar soundworlds and songs began to emerge, but they were very ethereal and shape-shifty for a long time. Newborn, Ashes, and Requiem were the first. Then Round Soul, the music for which I wrote some time later. I was also seeking that same feeling of space in the dynamic I felt with other musicians. It took three years to find the right people – Jude was there from the outset (we’ve been friends and sonic ‘playmates’ for many years), but Matthew and Carolyn came later (2012/13 respectively). I felt a great calm and trust when we all played altogether – space for everyone to be themselves and roam around comfortably within the music but at the same time, always circling each other. I feel very lucky to have found these brilliant people/musicians. By November’13 I had a collection of songs that fitted together. Mocking Moon was a kind of London ‘swan song’ – an inner heralding to myself that a change was in order. Requiem, Ashes, Newborn & Round Soul were all a kind of ‘landing’ into a new place, having made that change. Blackbird & This Love I added at the very end – late in 2015. (This Love was actually written in 2005 on the conception of my first niece, but I never played it very much after that). These last two songs seemed to balance it and brought a kind of simplicity or groundedness to the album that wasn’t present in the other songs, but that felt very much a part of the bigger picture of what the whole album was about. On searching for a suitable engineer/studio I eventually found Les Keye/Arad Studios in Dublin, who recorded and mixed the album. He was great to work with, and has since become a very dear friend. Musically, it embodies the spirit of so many different types of music so effortlessly and organically – folk, sound art, jazz, traditional, modern classical – and I love how each band member brings so much of their own unique backgrounds and personalities (for example, Matthew Jackobson’s extensive traditional and jazz playing or Judith Ring’s highly expressive cello works) into the final album cut. I would love to gain an insight into how song arrangements as challenging and as organic as these come to fruition? Is it a case of rehearsing or is it more a case of being aware of each other’s playing so much that it’s ultimately a very natural and fluid process? LH: It’s both: rehearsing, and exactly as you say, being aware of each other’s playing to the point where it becomes fluid and cohesive. It’s also a case of choosing to play with people whose playing I like, and who like the music I write and the way I play. That cuts out a lot of work really. Often there isn’t much need for discussion or arrangement as everyone just appreciates what everyone else does. That to me is the perfect scenario – sometimes just listening is the best arrangement! Within that there are conscious decisions made, but this mutual appreciation comes first, and is very fundamental as far as I’m concerned. I usually know the kind of soundworld and atmosphere I want to hear for a given piece, and the shape or contour I want it to follow. I communicate that to the others and then we improvise around these ideas. I listen back to recordings to pick out what I think works, and we all discuss it together too while we’re playing it. Through this feedback loop of playing and recording and listening and discussing we settle on an arrangement, though usually it’s quite loose. I like the idea that there’s always room for maneuver; that the music should be able to change with us as we change personally. As for embodying the spirit of different types of music, I think that comes from a deeper place. We all share a very deep love of sound and music, and we’ve all arrived at that point from different paths. Apart from playing, I really enjoy talking about music and listening to music with Carolyn and Jude and Matthew. It’s a very great source of joy and inspiration for all of us. I think we’re each at a stage where we’ve left our training or ‘genre-home’ behind, and now we each just want to play and have space to continue growing within our playing. That said, invariably the different paths we’ve traveled leave their mark, but ultimately I think it’s personalities that comes through, rather than genres. I think if you spend years exploring any artform you develop a bigger sense of what that artform is all about. You start to recognise graceful self-expression – that’s something that runs far deeper and has far more impact than any given genre. I think it’s what all artists aspire to – I certainly do. There is also a beautiful sense of intricacy to the lyrics on the album which reveals many layers of added meanings on repeat listenings. As well as your own poetic and moving lyricism there is a number of other sources drawn upon here (for instance texts by both Maureen Barry and Austin Clarke on “The Emptying Of The Ashes” and “Blackbird” respectively) which strikingly combine together to paint a picture of both the finite and infinite over the course of the album. I’d love if you could detail the themes you wished to express yourself with these songs? LH: The Austin Clarke line from Blackbird is taken from his poem, The Blackbird of Derrycairn in which a blackbird appeals to St Patrick who is busy studying his scriptures and praying in his cell, to leave his studies and come out to join in the world. We become obsessed with particular aspects of life (art, childrearing, career, money, religion, political causes – whatever), at times to the exclusion of all else. It makes hermits of us. That can bring its own rewards, but it can also be lonely and very isolating. I believe a varied and diverse daily life brings with it a sense of connection to the world, and the sense of a spacious and rich life. That to me is happiness. I wrote that song after I had been to visit Charlie – an elderly and ailing friend of my emigree sister’s (Sorcha, to whom the album is dedicated). Charlie was a tricky but colourful character who had alienated herself in many ways. She spent a lot of time alone; as do I, and as does my sister – all for our own individual reasons. That line from the poem “still no handbell has a glad sound” literally popped into the song as I was writing it. It summed up very succinctly what I needed to say (essentially “whatever “handbell” or sense of duty that is calling us to isolate ourselves for some supposed higher cause or ambition will not bring happiness or immortality. So let’s ignore it and join in the world”), so I left it there. ‘The Emptying of the Ashes’ is an excerpt from a column that a woman from my local area, Maureen Barry used to write for the farmer’s journal for many years. She was of a generation that put religion (catholicism) at the centre of absolutely everything. Obviously that brings its own problems, and I would never wish for a return to that outlook, but by the same token, I do believe very strongly in faith – not in a deity (for me personally), but in our being a small part of something bigger – a lifeforce – that we cannot control, and cannot understand, certainly not in any ‘rational’, or supposedly ‘objective’ quantitative terms. We can’t control or understand that lifeforce, and yet we’re utterly dependent on it, and that makes us vulnerable. What is there to do but give in to that vulnerability?? She nails this idea in this piece of writing: she presents herself as something small – a tiny element going about the daily tasks necessary to keep her existence ticking over. In doing so she becomes one with the world around her, and through this she perceives a sense of majesty – a sense of something huge and powerful and incomprehensible, and she’s humble in the face of that – she accepts that life or ‘lifeforce’ is incomprehensible. To me that is real faith: it isn’t god or church – it’s simply being and loving and not knowing why. I’d love if you could talk and expand upon the influence of Maureen Barry? I know from hearing your live show that she seems to be someone who has had an important role and influence on you as an artist? LH: She was a very intelligent and forward-thinking woman whom I’d known all my life. She was a feminist at a time when feminism was considered morally reprehensible. She earned a scholarship to study mathematics at UCD, again at a time when women were not encouraged to pursue academic ambition. She married a farmer and reared a family, gave maths grinds to local kids (myself included) and wrote a weekly column for the Farmer’s Journal, amongst many other things. I wouldn’t say she in particular had an important influence on me as an artist, but definitely she typifies a kind of woman from that era (which I grew up with the tail-end of) for whom I have huge respect. These women basically kept the community together. They were omnipresent in rural life when I was a kid. They had huge faith and strength and drive. They get forgotten about because their lives were quiet and supposedly apoltical, but I think many of them were true harbingers of change in Irish thinking – they distinguished between faith and institutionalized religion, and between women’s social status and the importance of their work as homemakers and childrearers. And they acted upon these distinctions, passing on subtle but clear messages through their actions to the likes of myself and other kids at the time, but they had to do it quietly and cleverly because such ideas were not socially tolerated. The use of vocals on the album is really special which is all the more apparent in a live context. Your own vocals – when accompanied even simply by guitar – is always so special (the range of vocals extend from spoken-word like delivery on “Blackbird” to the glorious “Curse You Mocking Moon”, can you recount your earliest memories of wishing to be a singer, Laura? Or was it a case of being a musician to begin with, where being a singer happened at a later stage? LH: I don’t ever remember wanting to be a singer as such, but I’ve always sung as far back as I can remember, and the feeling I had singing as a child is much the same feeling I have when I sing now. It’s very physical and very empowering. There’s something very primordial about sounding out your breath. It feels like another great big call to union with the world. I played violin as a small child, and I swapped over to guitar at 11-12ish, because I found it awkward to sing with an instrument under my chin. So I guess singing led the way and instrumental accompaniment followed. I think everyone should sing. I hate to hear people say they can’t sing. Everyone can sing – it’s a birthright! When adding and weaving so many other vocals (where effectively the entire band – Judith Ring, Carolyn Goodwin, Matthew Jacobson – will accompany you) – elevates the effect to another level altogether (for instance, on the title-track) and opens up so many possibilities when considering song structures and arrangements. It’s clear you all treat the voice like another instrument and that’s really striking on the album. Are these vocal arrangements conceived during rehearsals or at the studio? It must also be a really interesting and powerful experience singing like this in live shows, as it’s really apparent as a listener just how close a bond you each have to one another? LH: I more see them all as just sound sources. Every sound source or ‘instrument’ has its limitations, yes, but those limitations are largely determined by social convention and music tradition. In truth, the sound one can elicit from an object is simply a product the object’s physicality and the player’s imagination. Organising or playing with those sounds in a pleasing fashion is music. I think it really is that simple. If I have to think of them in terms of conventional instruments I would more see it as treating instruments as voices rather than voices as instruments! Voice is infinitely flexible in the range of sounds it can produce: continuous or discrete, pitched or inharmonic, an infinite range of timbres, incredibly subtle dynamics, and above all, because we communicate primarily through voice as a species, as listeners we’re highly sensitive to its nuances. To me, there’s no other sound source – ‘natural’ or synthesised – on the planet that is as universal or sophisticated. So it makes sense to me that other instruments aspire to voice in terms of sonic potential or flexibility. Rather than relying on a palette of sounds that an instrument traditionally produces, I prefer to think in terms of what sounds/soundworld I want to hear, and then I try to find ways of eliciting that sound from a given instrument. That’s what we do with our voices all the time – for example, when we want to convey the kind of sounds an aeroplane or an explosion make. Yes, it is a very powerful experience all singing together. It’s my favourite part of playing in this group and I really hope we do more and more of it as the years go on. I had an interesting experience recently while on holidays: my friend and I visited these ancient caves. The acoustics were incredible inside and so we spent the afternoon singing in them. We were just singing long tones – no songs as such. Other tourists came by throughout the day and the same thing happened 3 times, whereby a passerby would stand in the entrance of the cave to see/hear what was going on, and then to my great surprise and delight they’d join in! And it wasn’t a particularly ‘hip’ place where lots of right-on artists were wandering around; each time it was a very different ‘demographic’ that joined in: one young man our own age, two elderly german couples, and a middle-aged man. It was a very special experience. Humans want to sing. It’s such a great shame that we don’t make more space for it socially. Jude and I spent a long time singing and playing with each other over the years, before ever Clang Sayne came about. We share a very strong unspoken sense of what sounds good and interesting. Carolyn obviously has the clarinet in her mouth a lot of the time so she can’t always sing, but she’s found out all the places where she can swap between the two. Sometimes it’s quite a feat of breathing! Of the four of us, Matthew has sung least in the past, but he was really up for it when I first suggested it, and he joins in more and more as time wares on. Every now and then when we play live I hear him come in somewhere new where I haven’t heard him sing before. That makes me very happy. My current favourite piece is the title-track “The Round Soul Of The World”, it encapsulates the album so magically and embodies everything that’s so spellbinding about the album’s breathtaking musicianship. From the incredible clarinet-driven outro to the wondrous use of texture from the drums and percussion, it’s such a powerful and fitting closer to the album. I’d love if you could reflect on the making of this song? It must have been a particularly proud moment for you all, listening to the finished recording of this song back? LH: I wrote this while living in the farmhouse I mentioned in Q1 above. That was such a special few months, and we lived very simply in a very beautiful place. The day pretty much consisted of eating, sleeping, swimming, playing music, gardening and spending time together – very idyllic, and very much a privileged 1st world life, but paradoxically also incredibly frugal. All three of us were working hard on different projects – Jude and I, on our respective musics, and our other flatmate, Ann on visual art and teaching. Life felt very complete and fulfilling, and above all, very ‘blessed’ for want of a less corny word. I had just returned to Ireland and I felt an overwhelming sense of gratitude for where I had arrived – geographically, socially, artistically – in every way. I also felt during that time all three of us had space and time to give the world our ‘best’ selves, and that’s a rare opportunity. So it’s a song of gratitude for that, and a song of conviction for living. If I could strike a deal with the world this would be it: “I give you my best self and you give me shelter in return”. I set the text to music a couple of years later, after I’d met Carolyn, and I had the bass clarinet in mind. I wanted a big, low, spacious drone, and a very elemental and big sound. I set it so that the lowest note on the bass clarinet formed the drone, so that she’d have maximum instrumental range to let loose on it, and then her and Matthew could really go for it together. Jude had also just begun playing the cello during that time, so it was a good one for her too as she could focus on one open string and all the sonic possibilities she could elicit from that. I’m very chuffed that her cello debut is on this recording! It was good fun recording it! The first time we all listened back to the whole album together was a special moment. I think we were all proud of it, not necessarily this song in particular, but the album as a whole. I do remember listening back through the various takes we’d recorded of that song, and being so blown away by Carolyn’s solo on this take in particular – it’s so full of life and gusto and conviction. There’s this one harmonic that she pulls out at the very end and it’s like glass. Even now when I hear it I can’t understand where or how that sound came out, but it’s a little piece of magic. The true spirit and unique sounds Clang Sayne generate are obviously due to the very unique and singular musicians in the band, who each of course are responsible for such a wealth of music courtesy of many other projects and bands here in Ireland. I love how each musician’s style and background shines through so naturally on the album, it brings to mind fellow Irish-based band This Is How We Fly and the true spirit of jazz. I’d love if Matthew, Carolyn and Judith could talk about what it’s like for them to play with Clang Sayne? It must be a really exciting departure from your other projects and a beautiful way of pushing your own creative energies into many different directions in this context? Matthew Jacobson: What struck me from the very first time I played with Laura was her complete openness and willingness to collaborate. Given that her music is so personal and emotive, it is unique that she is so prepared to give musicians carte blanche when performing it. I think this is what gives her songs such a sense of life, allowing them to breathe and remain fresh. None of the musicians’ roles in the band are confined to the instruments that they play ie I don’t feel like a drummer in the band, rather as a facilitator and collaborator in Laura’s stories, poetry and music. Instead of playing a specific groove, I may at times aim for textures or soundscapes or I may play nothing at all! Playing in a group where the composer or songwriter places their full trust in you gives you the platform to be spontaneous, creative and free. This can bring the music to entirely new spaces, without losing the integrity of the original material. I really love being involved in projects in this capacity and this one is particularly special for me as it has allowed me to sing on an album for the first time! Carolyn Goodwin: Because of the delicacy in Laura’s writing, her songs demand intense focus from the listener on every hearing. I feel that this is still the case for me and that even from my seat within the band, I am having an experience akin to that of a member of the audience. With each song you are confronted with something that is both powerful and fragile at once, and as musicians we are given the responsibility to be mindful of the craft that has gone into the writing, along with the freedom to make something new at every performance. Striking the illusive balance between these two elements is something I think we collectively strive for in every execution of the music, and what ultimately unites us as Clang Sayne. Judith Ring: Clang Sayne is an incredible group to play in. It gives us all a chance to deeply explore various sonic ideas and really develop a cohesive sound that represents our individual talents as well as our capability to blend together into something unique. As a composer I typically work alone and hand my music over to other people to perform but as part of Clang Sayne I get to explore that world myself and certainly my own music often influences what I bring to the table. Working with Laura on her music is such a rich experience as the material at its core is so powerful and gives us so much to play off. The aspect of freedom within the work also allows us to grow with the music and vice versa. It’s an ever-evolving thing! LH: My favourite thing over the past year is definitely the music from William Kentridge’s exhibition, ‘The Refusal of Time’. It’s a series of texts and stories written and recited by Kentridge and set it to music by South African composer, Philip Miller. It’s mind-blowing, both in Kentridge’s reflections on time and in Miller’s arrangements. Peadar O Riada’s 1987 album (untitled). What are the next plans for Clang Sayne? LH: I’ll start writing a new body of work in September, based on a set of poems I wrote several years ago. I’d hope to get that wrapped up before Christmas and then bring it to the others in Spring 2018 with a view to recording it maybe next summer. I’ve been ridiculously slow in the past getting albums over the line. This time I really want to try turn it around a bit faster. Otherwise, some touring in Ireland in the Autumn, and hopefully further afield in 2018. Recently I just hooked up with booking agent, Emma Kelly from Merakindie. It’s the first time I’ve worked with someone else on the business end of things, and it feels good to get help with this part of the project as it’s not something I find easy, so I’m pretty focused on that for the summer – finding good people to help: that includes a manager and a PR person – anyone interested please get in touch!! Interview with Ellen King (ELLLL). ELLLL is the pseudonym of Ellen King, a producer based in Cork City. Her music utilises heavily manipulated samples, resonant beats and dark textures, whilst also drawing influence from drone and noise crossed with vigorous techno leanings. The highly anticipated debut ‘Romance’ EP comes out soon via Sligo-based Art For Blind Records (pre-order here) and is available to download now. The title-track – and glorious opener – contains a myriad of utterly transcendent moments distilled into one gorgeous cohesive whole. An array of luminescent beats serves the vital pulse as LA-based producer Laurel Halo; early sample-based works of French artist Colleen and the Modern Love roster all flicker into full-focus. ‘Romance’ forges a deeply immersive experience. The following cut ‘Pegasus’ is built upon many warped sounds that are masterfully assembled into a lo-fi techno-fused sound collage. The repetition and returning melodic motifs creates un utterly timeless feel, which continually evolve, looping forever into some blissed-out utopia. Part B of ‘Romance’ changes and mutates once more, displaying the gifted talents of this Cork producer. Acid house beats and hypnotic vocal-based samples continually weave in and out of focus, creating a dense sound-world of melodic patterns and radiant textures which bring to mind the seminal works of Aphex Twin and the Warp & Kompakt label’s output. Closing cut ‘Tease’ blends vigorous techno, noise and drone soundscapes to tremendous effect. The near-tribal, pop-oriented vocal sample serves the track’s compelling main theme, which becomes mashed and transformed across a multitude of manipulations and treatments. Endless moments of complete transcendence are effortlessly embedded within these spliced treatments. ‘Romance’ represents the glittering first chapter in ELLLL’s music path. ‘Romance’ is available to download HERE. Vinyl pre-order HERE, which will be released on Art For Blind Records. Congratulations on the sublime ‘Romance’ EP. Please discuss the space in time in which these formidable tracks were constructed and recorded? The many intricate layers inherent across these four tracks is a joy to savour and feels as if these loops could go on forever. I would love to gain an insight into the library of sounds you have collected – and the sources perhaps – and indeed the process of collecting these fragments and splicing the tracks together? Ellen King: Most of the tracks were recorded between Dec 15 – March ’16. I’m a total hoarder when it comes to sampling. Pretty much anything goes. Old B movies, foreign films, field recordings, a lot of pop music from the 50’s/60’s. I’m a sucker for anything with the Phil Spector – Wall of Sound production. In terms of splicing tracks together, I’m a big advocate of sound collage. Layering sounds, even things you think could never possibly work, tweaking and manipulating them in subtle ways. That being said, trial and error can be a big part of composing too. Sometimes I’ll have audio that I’m desperate to use but it just never quite ‘fits’. I could be editing something for weeks. It’s tedious. Eventually, you just have to let it go. Other times I come across a sound that feels so magnetic the piece seems to come together almost instantaneously. You have that light bulb moment where you just have to keep the momentum going and bang it out. Most of my time is spent on chopping up samples and manipulating them. Generally, they’re very tiny fragments. I’m constantly trying to get the most out of the least amount of material. Imposing this limitation is important to my workflow; otherwise it becomes overwhelming. I’m constantly trying to scale things back. I can imagine your live shows and testing material in the live context must have played a big part in the final versions and entities of these new tracks, Ellen. Furthermore, your live show has developed and evolved greatly over the last couple of years, which is reflected in the ‘Romance’ EP. One of the great hallmarks of the EP is the translation of your live shows – and particularly, the energy and transcendent nature – into the studio versions. Can you talk me through the equipment and tools at your disposal and how you feel you have developed as a producer (which is so clearly shown on ‘Romance’)? EK: In terms of tools at my disposal, I don’t own a lot of gear. I’ve used a lot of different software over the years but these days I feel most comfortable using my laptop, Ableton live, a APC MK2 and decent studio monitors. Portability is for sure a concern too. With regard to playing live, it has certainly been an integral part of the way I write music. When I started making electronic music most of my friends were in bands, none of them were DJ’s or producers; playing live was just a given. At the time, I was doing bits and pieces of improvisation with friends, some noise and drone type gigs too. So, when I started playing live sets as ELLLL, they were fully improvised and meandering. A lot of the tracks I recorded were just that; recorded and unedited. You mention the word transcendent, and without sounding cheesy or clichéd, it’s such a big part of making music. You have these moments where you lose yourself completely in what you’re playing. This can be on stage or in the studio. In the case of the latter I try and record everything I do, oftentimes these recordings serve as the basis for tracks (although, granted; there’s a lot of files that get scrapped too). This approach has developed quite a bit, you get older, learn more skills, figure out what works and doesn’t. I’m constantly trying to improve as a producer. By large most of my tracks are still composed around improvisations, but now I’m much more critical about what remains in the final edit. A 30-min improvisation could end up being refined to a 6-minute track. Now, in a live context, I have tracks to play, edits to consider, all these elements in post-production that I never had before. If I tried to stick to all that live I’d go insane; it would be so rigid and stressful. Instead, I’ve got integral components that I try and use in an improvised way. I’ve got a pool of effects I like to use and some Max for Live instruments too. Overall this makes playing live very malleable and fun. The whole set is much more loose as a result and gives me more freedom. You’re never going to hear a track exactly as it was recorded, but honestly, who wants that anyway?! There is a wide range of sounds and flourishes etched all over the recordings, calling to mind the vintage Warp output, pioneering producers, minimalist techno and imprints such as Modern Love, Kompakt et al. What do you feel are the sum of the inspirations and influences that have found their way on this particular musical chapter, Ellen? Did you have a specific set of aims or objectives for what sound worlds to channel into this batch of songs? EK: I didn’t have any specific aims or objectives at the time of writing the EP, I wanted it to accurately represent my interests and skill set as a producer at that time. I didn’t set out thinking ‘I want it to sound like X’. I wrote some tracks, picked the ones I thought complimented each-other and went from there. That being said, there’s an undenying influence of imprints like those mentioned that rooted themselves in my composition early on. Modern Love in particular; a lot of its output was a big catalyst for me to write more beat driven material, the style of production and the atmosphere resonated with me. A minimal approach to writing electronic music has always appealed to me and is still something I gravitate towards. I like the challenge of trying to push the boundaries of a 4/4 groove in a creative way. Labels like Faitiche and Scape~ also had a huge impact on me, especially when I began writing electronic music. The juxtaposition of these with more experimental and noisy output from labels like Subtext, Prologue, Pan… then artists like Black Dice, Terrestrial Tones, Teengirl Fantasy. The list goes on and on. It’s a pretty mixed bag. The title-track serves the perfect opener. The ambient loop and luminescent beats form this stunningly beautiful cohesive whole. Can you talk me through the construction of the layers of ‘Romance’? Again, just like the other tracks here, an infinite array of breath-taking moments come to the fore as the track grows, mutates and evolves. EK: Romance was one of those rare moments where the whole track came together quite quickly. I think in a day or two. It’s mostly stretching and inverting the same idea and actually has quite few new elements bar the percussion. Most of the sounds are taken from the same source but are heavily manipulated and inverted to create something new each time. As I started compiling samples for Romance, it began to come together as a vivid narrative in my head that I wanted to translate into a cohesive piece of music, almost like a piece of program music. This sounds a bit intense and OTT for writing what essentially ended up being a 5-minute techno tune, but it’s what was going on in my mind at the time. ‘Bear’ contains such a monster groove and compelling techno soundscapes unfold throughout. I get an impression that the transitions within the songs are quite integral to the overall composition? For instance, I love how there is distinct phases or patterns embedded within a track, and where certain moments or motifs return at various points. I would love for you to shed some light onto your compositional approach and how you visualize music? EK: ‘Bear’ features a lot of material that I had been playing for a while in various reincarnations live, so, when I was writing it I knew the sounds inside out. I wrote it at a point that I had finished a few live shows and was just really excited about writing music. I had the luxury of playing much of the track through on some nice sound systems and wanted to make it come to life; give it some form and shape. It’s a lot of interweaving repetitions, ducking in and out, with these acidic bloops, chugging throughout, keeping a sense of movement and motion going. Some pieces are incredibly visual for me and these narratives unfold, as I mentioned with ‘Romance’, ‘Bear’ was much the same. Everything about it reminded me of Baloo the bear from the Jungle Book. Not the story line. Just the Bear (ha!) I’ve no idea why. None of the sounds are even remotely related to the Jungle Book, I haven’t read or watched it in years, but once I had the idea in my head, that was it. This lucid bear sauntering through a lush green jungle. Some of the music I write goes that direction, storytelling in some warped sort of way. On the other hand, it can be solely focused on one specific sound that I’m completely fixated on for a time, and I try to challenge myself to use it in as many creative ways as I can. A feeling, or a mood. Sometimes you just want to make something bangin’, obnoxious and unapologetic. I’m all for that too. I love that. What records, producers, artists have you been enjoying lately? EK: A lot of the music coming out on Don’t Be Afraid; Karen Gwyer and Herva in particular. Also output from BANK records, Enrique (Miguel Alvariño) and Via App especially. I’ve been revisiting Murlo’s Odysessy from last year and that still gets me excited, it’s just such a good time. The new Pangea is really fun too. Also, looking forward to get my hands on the new Andrew Pekler record, which I’ve only heard snippets, but sounds great. It’s always striking chatting with you about music: you have a wide-ranging taste and love and appreciation for a wide range of genres and styles/periods of music – Delia Derbyshire & BBC Radiophonic; Colleen; Powell; The Soft Moon; Laurie Spiegel, Linda Perhacs etc. – it’s obvious from listening to your music that your collection does not only cater for techno/electronic sounds. Could you pinpoint key albums that influenced you as a composer and made an impact on you growing up? In terms of influences who would you most admire? EK: Growing up I didn’t listen to much electronic music at all, not intentionally, it just wasn’t an area I was all that aware of. The major exception here would be Aphex Twin, both volumes of Selected Ambient works and also the Druqks record. As a teenager, I was mostly preoccupied with metal and offshoots of that; alongside with psychedelic pop of the late 60’s and 70’s. The Mama’s and the Papa’s self-titled record definitely brushed off on me, I go back to it time and time again, catchy yet sometimes melancholic pop songs with a nostalgic feel. I love the story that they tell, the overall narrative. My mother was also very partial to throwing their best of on in the car as a kid, so even going further back, I’ve some nice memories attached to their sound. In a big contrast, Ulver’s ‘Blood Inside” also had an impact on me, but in a completely different way. It was a drastic break away from their previous sound, which was a lot more black metal. The record is still really dark and moody, but has some many different elements to it regarding electronics, instrumentation and texture. It’s really interesting to listen to, their use of sampling especially got to me. Fantoms ‘Suspended Animation’ is another one i’d include in this too, it shook me up. The juxtaposition of so many different elements, sometimes sounding quite frantic sometimes really beautiful. I can’t really mention sampling without Musique Concrète and the music from RTF and Radiophonic Workshop. The composers involved have not only being very influential compositionally, but I’ve a strong admiration for them, women like Eliane Radigue, Daphne Oram and Delia Derbyshire in particular. Likewise, I’m very fond of the Scape~ recordings label and the producers involved. It’s all very considered and beautiful production with some really precise components that seem to be a mixture of found and man-made sounds, yet still not withholding to any particular genre. Jan Jelinek – Loop Finding Jazz Records is a favourite of mine. I also have to include Emptyset and their record Demiurge. The physicality of their sound is something I really appreciate; I find their music very compelling. “THE FRONT” E.P. PREMIERE & Interview with Conor Walsh. 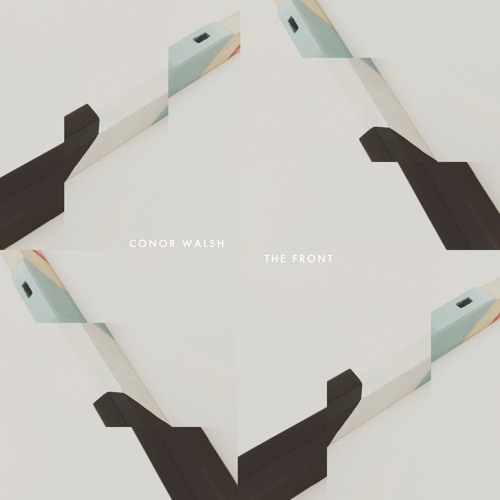 Conor Walsh is a minimalist piano and electro acoustic composer from Swinford, Co. Mayo, Ireland. His compositions draw from a variety of genre’s that span Minimalist and Neo-Classical to electronic and ambient worlds. On the Irish composer’s brand new ‘The Front’ EP – released today on the Irish independent label Ensemble Records – shimmering textures of atmospherics and subtle effects are masterfully embedded in the beautifully crafted piano-based compositions. The delicate beauty of the title-track’s celestial piano notes immediately conjures up the timeless sound of ‘Felt’ by German composer Nils Frahm. ‘K Theory’ employs heavy use of atmospherics and looped voices that fuses acoustic and electronic walls of sound together, somehow foraging between shoegaze, drone and minimalism to wonderful effect. Gradual pulses of ambient soundscapes and returning motifs here are reminiscent of Kranky’s Christina Vantzou’s drone-infused ambient creations or Aphex Twin’s minimalist electronic works. 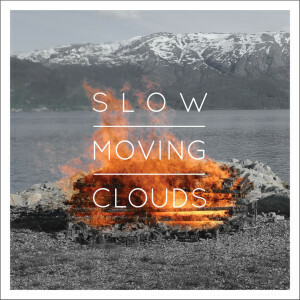 A joyously uplifting feel permeates the closing cut, ‘One Swallow’ that feels like the return of Spring with its soaring, soothing piano patterns interwoven with warm, radiant electronic textures. ‘The Front’ E.P. is out now on Ensemble Records. Please talk me through ‘The Front’ EP, it’s a wonderful collection of four beautiful piano works and particularly the making and recording of these songs? 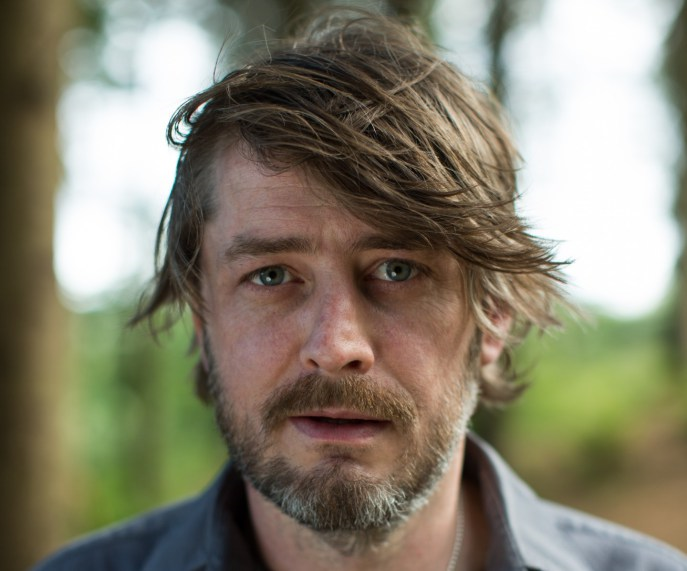 Conor Walsh: It was recorded at home, in my home studio and it was co-produced and co-mixed with Enda Bates – Enda is from The Spook of the Thirteenth Lock and he is also a lecturer in Trinity – we worked remotely together; he was up in Dublin and I was down here in the countryside in Mayo. I did most of the work here and then got some of the heavy technical end expertise from Enda from his side. I love the title-track and the different sections within the piece, especially in the final third where a more ambient feel comes in. CW: The tunes all began as solo piano pieces and I suppose over the last few years, I honed my sound to include lots of layers and atmospherics. Those sounds are a big call because it’s very tempting to over-do it and very easy to over-do it I guess. I feel like I have found my own sound. The atmospherics seem just right now, it’s an interesting journey with the textures and atmospherics and eventually just knowing that is enough or a feeling that’s enough in the background. So I hope they are subtle enough at times and not too overpowering but they feel just right to me anyways. A piece that typifies that is ‘K Theory’. I’m not sure if it’s a voice but I love how there are looped samples in the mix creating drone/ambient textures that work really well. CW: ‘K Theory’ originally, that whole idea was like a non-tron kind of sound that morphs all the way through. So the idea was it’s almost like a synthetic voice that morphs back into itself. I guess it’s like a voice that sounds like a voice at the beginning but ends up returning to its synthetic form by the end of it. It’s been a great time for music too and especially the whole world of neo-classical music with people doing a lot of similar things where it feels like there’s almost a movement for making this particular type of music? CW: There certainly is an appetite now. ‘K Theory’ is four years old but there certainly is a scene there at the moment. One of the first guys I would have been interested in from the neo-classical scene was Dustin O’ Halloran. I’ve always had a real soft spot for awesome little piano tunes that just sound so good and there’s not to have any sort of huge complexity about the piano at all. Simplicity sometimes is the best and it’s like a return to the whole minimalist movement of the 60’s where it was almost like a counter response to serialism, just to go back to simplicity. It’s been great to know actually there seems to be an appetite for that in the world right now. I could namedrop tons of people like Nils Frahm, Olafur Ornalds, Dustin O’ Halloran but classically as well, from the turn of the twentieth century – from Erik Satie to now – there always seems to be a place in the music world for minimalist piano. I’d be curious Conor, for composing music, is a lot of it more improvising and a lot of playing until you find a certain motif or pattern that you go back to then and hone in on or does it vary? CW: No that’s exactly what I do. All of my stuff I guess is heavily reliant on repetition and making the decision as to what is enough and what is too much and what’s just enough with regards to repetition. From a compositional point of view, a lot of the tunes and melodies and motifs just come from literally playing over and over and over again. And very often I find happens with the compositional process is that I start off with an idea and I find a hook or a melody and I keep repeating and repeating. And what very happens is then another separate melody develops from that so something I wouldn’t have seen at the beginning will just develop. It’s quite difficult to explain but through repetition and playing something – a hook or a melody or a motif – over and over again, sometimes it just leads logically to another melody or another hook and what very often happens is the first one gets discarded completely and I stick to the second one. Do you have plans for a full-length release? CW: Definitely, yeah. I mean I guess in a way I’ve already started, I’ve been putting these collections of piano tunes together since I was nineteen really so I have lots and lots of tunes and I’m really anxious and really excited to get an album out there. I think the journey for me has been about finding my own sound and being happy with that. I think through the process of doing the EP I really feel like I’ve become comfortable finding my own sound and there is definitely a plan for an album on the way. The artwork for ‘The Front’ EP is really beautiful and complements the music very well. CW: The artwork was done by Louise Gaffney from Roscommon, from the band Come On Live Long. It’s been really great working with Louise and has been a huge part of the whole idea of the music and the minimal nature and its non-directive quality. With instrumental music and for my own music, it’s about being non-directive and allowing the listener to put their own thoughts on it so there is as little direction as possible. I’d like it to be like an emotional rollercoaster but not necessarily directing the listener, you know. So Louise was really, really good at listening and discussing it and I think it’s reflected in the artwork as well: the repetition and the minimal nature of the music. It was really great working with Louise in that we spent as much time talking about stuff than anything else so she really grasped the whole idea of the music really, really well with the ideas of repetition and minimalism; leaving stuff out is just as important as leaving stuff in. I wonder growing up with music, did you go through the different stages of being in bands and stuff like that before finding your own voice with the solo piano? CW: Well funnily enough, I would have started like most teenage guys in the 90’s playing guitar and singing and writing songs with vocals. I did it all the time, I used to record on tape. just on a basic twin deck recorder with a built-in microphone . What I did from the very beginning – when I was probably 15 – I always recorded everything because I was always afraid of forgetting something so I have a huge box of tapes at home with songs of guitar and vocals. But what happened when I was around 19, I started to play some of those songs on the piano and I really, really got stuck into the idea of this whole non-directiveness: not having lyrics, not having a story or a narrative and not directing the listener just appealed to me much more than writing songs and writing lyrics. Have there been certain albums that really inspired you and making your music? CW: One album that really changed my musical life was Aphex Twin ‘Selected Ambient Works 1985–1992’. I just consider that like a modern-day minimalist ambient masterpiece. It was just so simple but so beautiful and I couldn’t understand it at the time when I heard it first. It became an album that I got absolutely hooked on; I couldn’t understand how something could be so simple and so beautiful. I think Aphex Twin himself cites Erik Satie as an influence, from almost a century beforehand where he did pretty much the same thing to express this beautiful, beautiful emotion and really dark emotion through very, very little. So that was a huge, huge album for me. More recently, I’ve even taken influence from the progressive rock band Tool, quite different but they have some amazing hooks and melodies that get repeated over and over and over. It seems like a really good time in Ireland and with the music industry at the moment, it’s almost like the recession had some benefit in the way it has probably given a lot of people time to write music that otherwise may have been distracted by a career. But even more contemporary artists like Clark and Evian Christ who recently got signed to the Warp record label – basically anyone on the Warp label I really love – and of course also everybody on the Erased Tapes label. One contemporary pianist I’ve been really, really blown away by the last couple of years is Lubomyr Melnyk from Erased Tapes. I’ve got to see him last year at the Unitarian Church, he came over for Homebeat and that was amazing. Again he uses repetition heavily but he’s also an amazing virtuoso pianist as well, it’s an interesting combination of the two. What plans or projects do you have next or in the pipeline? CW: Well one of my main ambitions this year in 2015 was – I did an interview last Christmas and I was asked what was one of my ambitions in the year – to score my first film so I actually got to do that last February. I worked with director Kamila Dydyna, she’s a Polish lady and I scored her first short film, ‘Testimony’ so that was a really amazing experience and it’s something I’m really interested in. I also did some work for TV3, some documentary work and I’ve had lots of my music used on radio documentaries and some stuff on TV too. I’ve also worked with a company called Twopair films in Clare and providing some music for their gorgeous short films. So I guess in a way it’s something I have just discovered that I really, really love and would love to pursue that further. There is that whole cinematic quality to your music that would lead you to scoring music as well, in the much the same way as those names you’ve mentioned – Dustin, Nils, Olafur – do this too in addition to their own solo albums, it’s almost all the same thing in the end. CW: I mean it’s kind of a weird one I mean you think of the conventional film composer having an orchestra and directing the orchestra and having a huge budget and going to London to record an orchestra but you can do so much from home now, from your computer. I think it’s an amazing experience for someone involved in minimalist neo-classical music, it’s the ultimate compliment really to have a moving story and have your music put behind it.